Do you post images on several different social media networks? Are you spending time creating different images for each social network? 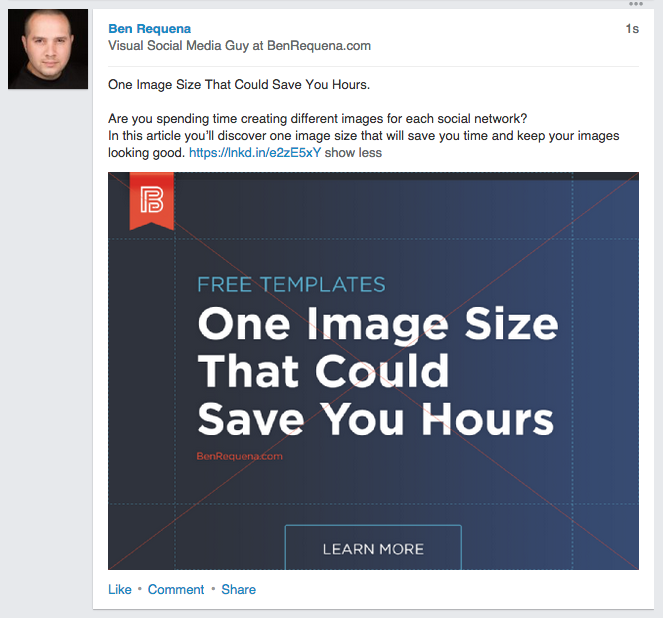 In this article, you’ll discover one image size that will save you time and keep your social media images looking good. Save it now, Read it later. It’s important to distinguish between “efficient” and “effective” when talking about image sizes in the context of their use on social media. 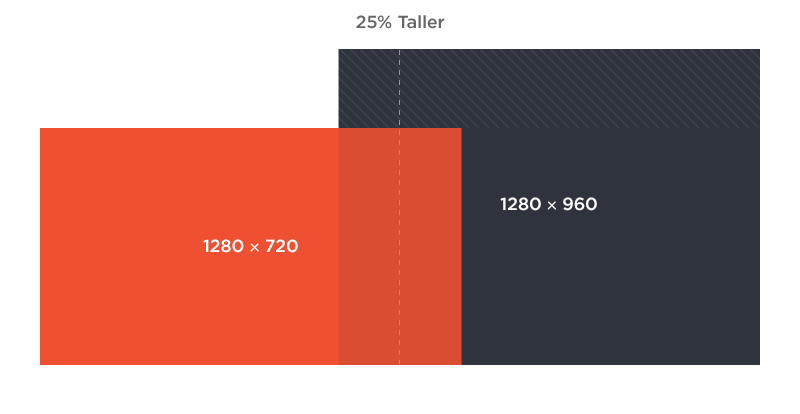 Efficient image sizes are those that require the least amount of undesirable cropping or resizing to be displayed attractively across the most social networks at any size screen. Effective image sizes are those that generate the best results for the specific goal and audience it is intended. 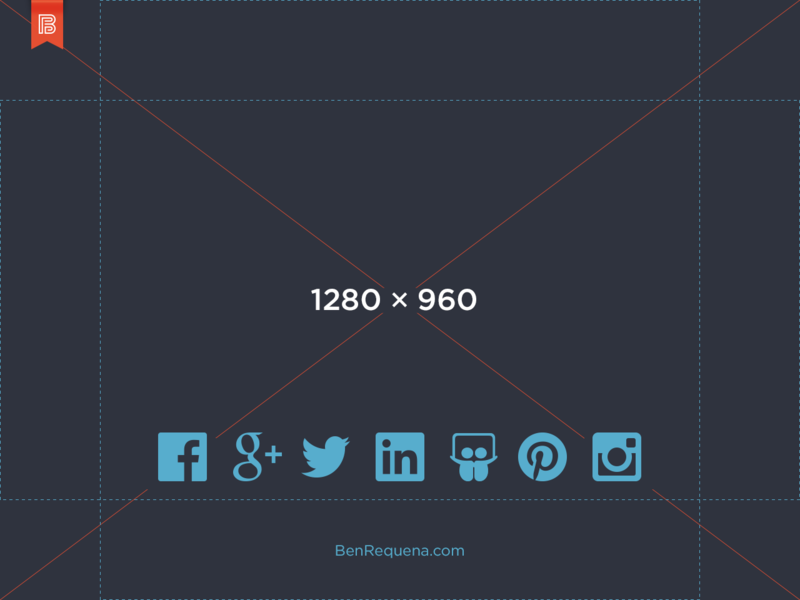 In my search for the most efficient social media image size, I kept in mind current best practices for the most effective social media image sizes. 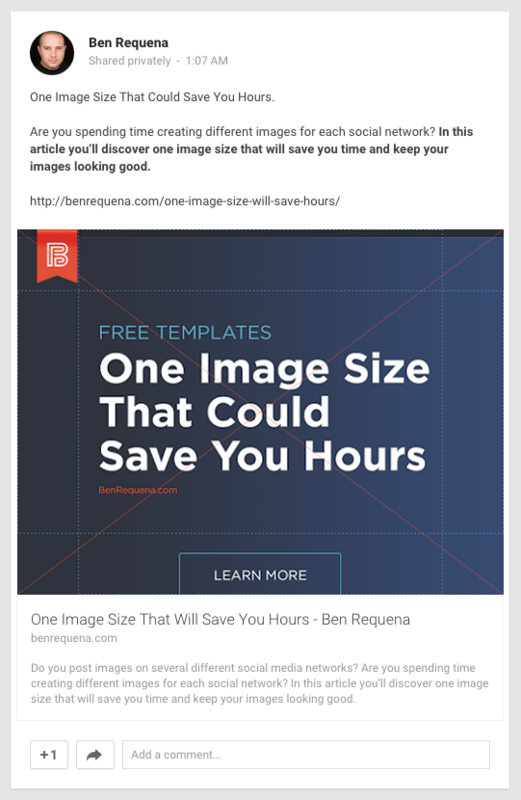 And although there is no single image size that is both most efficient and most effective for every goal on every social network and on every device, I believe the size below is the best image size to save you time and keep your social media images looking great on desktops, tablets, and mobile devices. Preface #2. Size matters… content and consistency matter more. 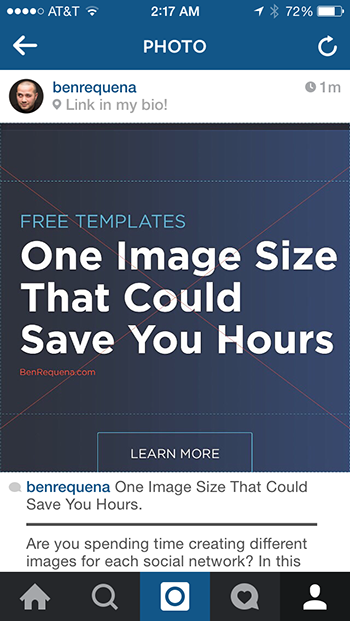 I may be stating the obvious but using an optimal image size is only one part of a larger image strategy. In my opinion, the quality of your content is the most important part of your image strategy. And in order for your images to have a high level of quality they must be created with specific audiences and specific goals in mind. However, not every piece of visual content needs to be a home run. Each piece of content you create is an “at-bat” and the more content you create and publish, the more opportunities for success you will have. This is where consistency becomes important. Consistency is another important part of your image strategy. Specifically your posting consistency and your brand’s visual consistency. Fortunately, using an efficient image size and template will allow you to create and publish your visual content on a more regular basis and with a more consistent appearance. 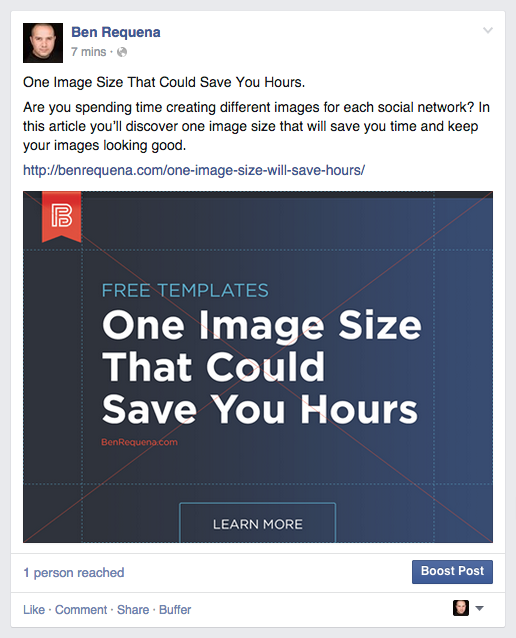 The best image size for any social media platform balances efficiency and effect­ivenes­s. Searching for a better image size. For a majority of my images, I was using 1280 x 720 which is a standard 16:9 widescreen aspect ratio used primarily for HD Video. It’s often referred to as 720p. And for most uses the 1280 x 720 image size is great. It works especially well if you also use your social media images for video thumbnails on YouTube although I haven’t found that to be the case very often. Where I felt the 1280 x 720 size was not ideal was when viewing it on mobile. Most mobile apps for social networks only work in portrait orientation which means the maximum size of the images is often limited by the narrow width of the device. So if you have two images where one image is very wide and the other is taller, the taller image will often appear larger on a mobile device because it takes up more pixel real estate. Why pixel real estate is important. 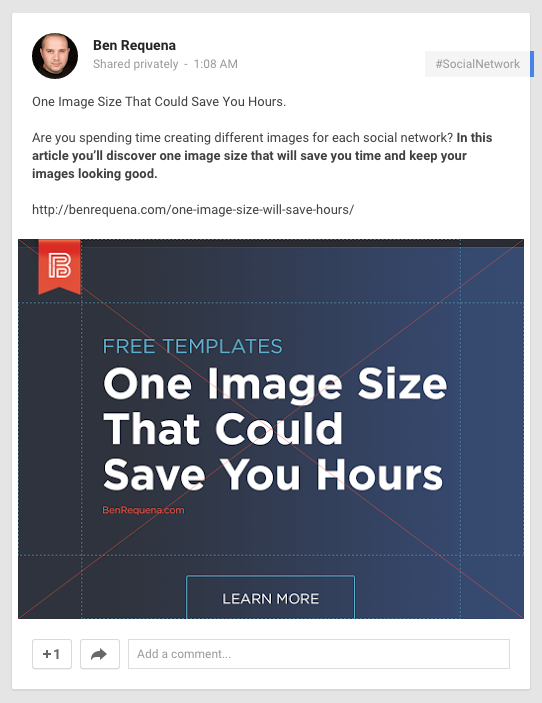 In my experience, there is a correlation between engagement and image size. The larger the image appears on screen (desktop or mobile) the more engagement (likes, comments, shares) the image will receive. Of course, there are a bazillion variables that would have to be considered in order to claim definitively that the increase interactions is a direct result of the size of the image, but it does appear to be a factor. 40% of smartphone owners use a social network app on their phone and 28% of them do so every day. In 2014, roughly 30% of all Facebook users only used their smartphones to connect to the network. That’s roughly 396 million people every month and that number is only projected to increase. In 2013, Google+ reported roughly 25 million unique mobile users every month. Recognize that stat is 2 years old. 23% of the entire global population is active on social media via a mobile device. That’s 1.65 Billion people. Say hello to 1280 x 960. The 1280 x 960 performs excellently on almost every social network and it’s also 25% taller than 1280 x 720 making it more ideal for mobile. Yay! How does it look on Facebook? The 1280 x 960 size works great on Facebook for both a photo post and as a large Shared Link image. With the shared link image the top and bottom of the photo are cropped to a 1.91:1 ratio. So keep your content in the middle and you shouldn’t have any worries. There are lines in the free templates so that you can see where the image will be cropped. Click to see the live post. How does it look on Google+? Google+ is probably the easiest social network to deal with in regard to visual content. It displays almost any reasonable image size very well. 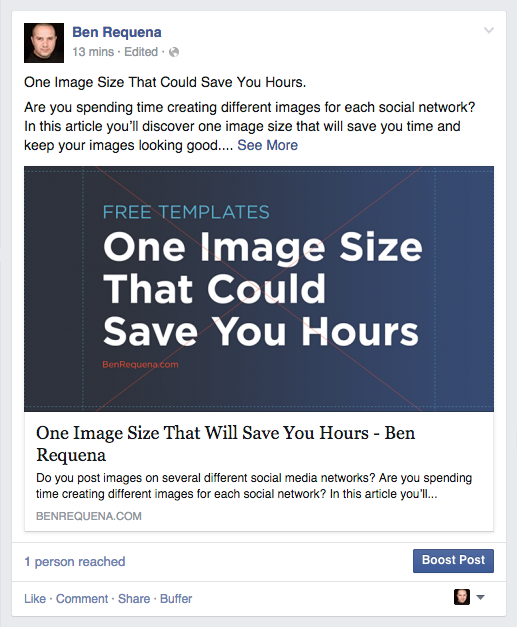 Similar to Facebook you can post images as a photo post and as a shared link post. The shared link image is cropped to a ratio of 2:1 so keep your content in the middle and you won’t have any problems here either. How does it look on Twitter? In the Twitter feed, images are cropped to a preview with an aspect ratio of 2:1. By keeping any important text or graphics near the middle of your 1280 x 960 template you’ll ensure nothing is hidden in the preview. Once a follower clicks on the preview the image will open to reveal the entire image. Click to see the live tweet. How does it look on LinkedIn? LinkedIn’s image handling strongly favors horizontal images which makes the 1280 x 960 excellent. If you’re using images in your status update you have nothing to worry about. How does it look on SlideShare? 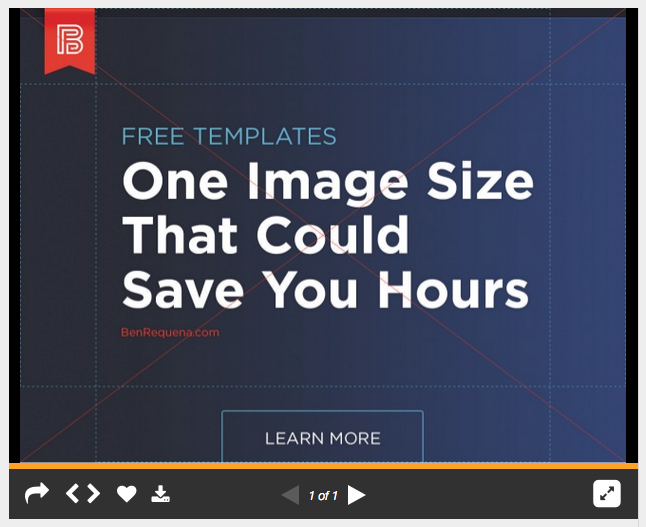 Slideshare was practically built around the 4:3 image ratio so it should be no surprise that this image size works pretty well. Click to see the live slide. How does it look on Pinterest? Because the 1280 x 960 size is horizontal and on Pinterest images that are vertical tend to get more repins this isn’t the most effective size for Pinterest. However, the slightly taller aspect ratio of this image makes it more ideal than 1280 x 720. But here is a really cool part about the 1280 x 960 size. If you invert the height and width dimensions so that the image is 960 wide by 1280 tall you end up with a great image size for Pinterest. Pretty sweet. Click to see the live pin. How does it look on Instagram? Almost every image on Instagram is square. But not all of them started that way. Most images on Instagram were captured by a smartphone at an aspect ratio of 4:3 and then cropped to a square (1:1) using the Instagram app or another effects app or editor. If you’re going to be creating images for use on Instagram, simply keep your important content within a square ratio and you’ll have nothing to worry about. What do you think? 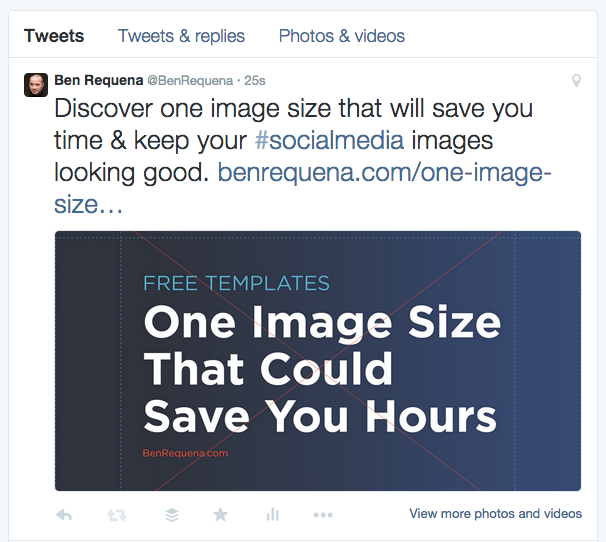 Will this one image size help you save time with your social media marketing? What other sizes will you still use? Please share them in the comments! if you hit one of the share buttons below! Ben, I can’t believe there’s no comment on this. This is simply awesome! 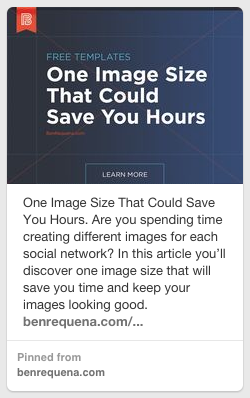 I know because I’ve lost countless hours resizing and adjusting social media comps to various sizes. Thank you! Thanks Pat! There are of course other sizes that work very well and depending on which social networks you’re trying to optimize for the most efficient size might be different, but 4:3 is a very flexible ratio. Ben, thank you sooo much for this! I’m sure you spent hours figuring this all out and I am truly grateful that you shared it with us! Aww, thanks Yamile! 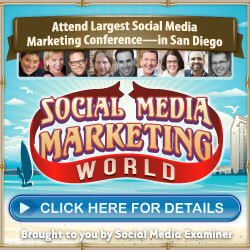 Which social networks are you creating images for most often? Hey Thanks Juan! I Appreciate the kind words and the share. It was an awesome way to start my day for sure. I’m in the middle of traveling to TX from NC but I’ll do my best to stay on top of any any questions your community might have. Hey Ben! You’re very welcome! It’s a very useful and smart tip that needed to be shared 🙂 Safe travels to you! Awesome article Ben!! Going to share with my followers. 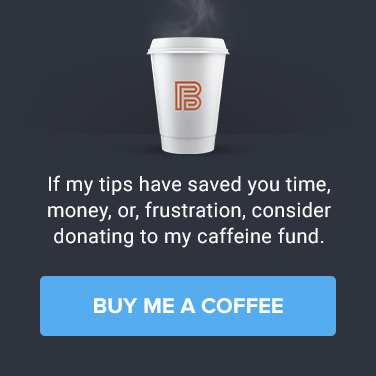 Hey Ben, awesome tip! Any specs on what part of that canvas to stick within to make sure nothing gets cut off on any of the social media platforms? You mentioned a template – can I load it into Canva to make sure I’m staying within the right area? 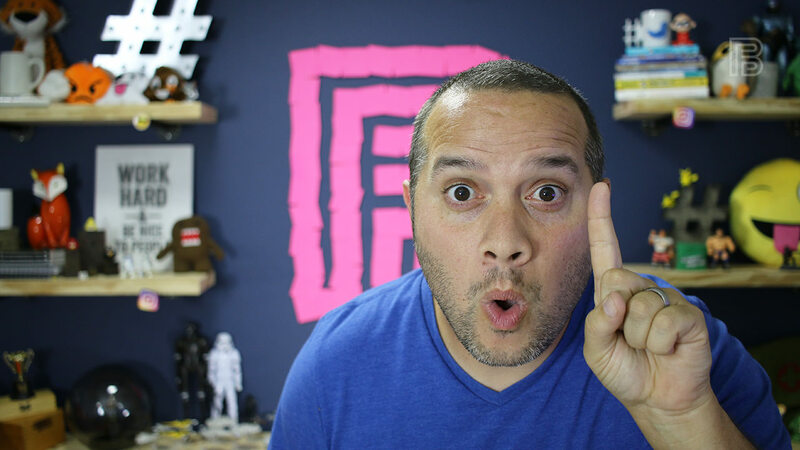 I would love to get your thoughts on what I’m working on… let me know if I can email you. I think you could be part of the marketplace! Ben Thank you so much for this. Brilliant of you to discover and prove, So kind of you to share. Ben thanks so much for sharing such a cool idea. kindly can you tell us what is the stander size for portrait image that we can use for all social media.